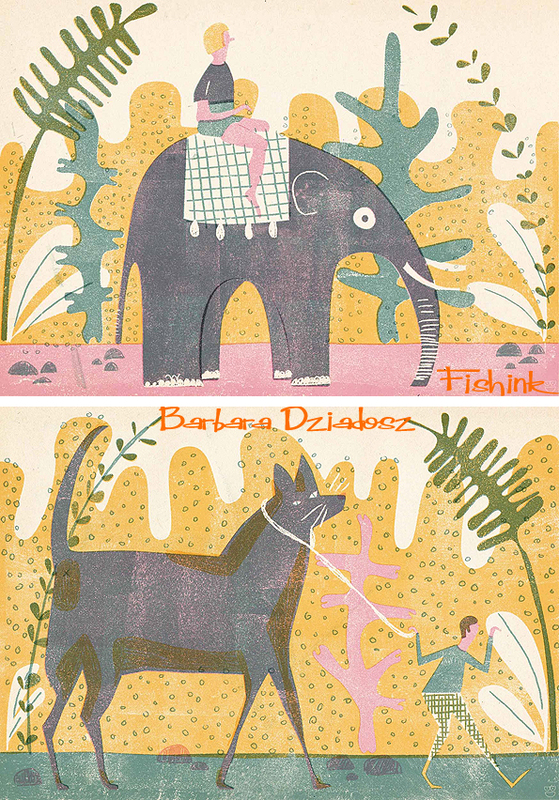 I stumbled across the wonderful work of Barbara Dziadosz recently and was immediately bowled over by it’s wit, charm and friendly figures. 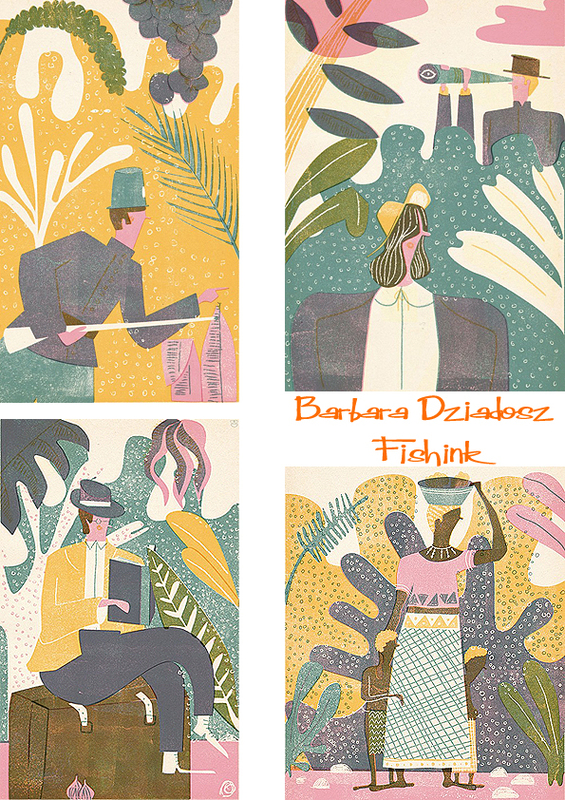 Originally from a little town in northern Poland, Barbara is presently finishing up her studies in Hamburg. 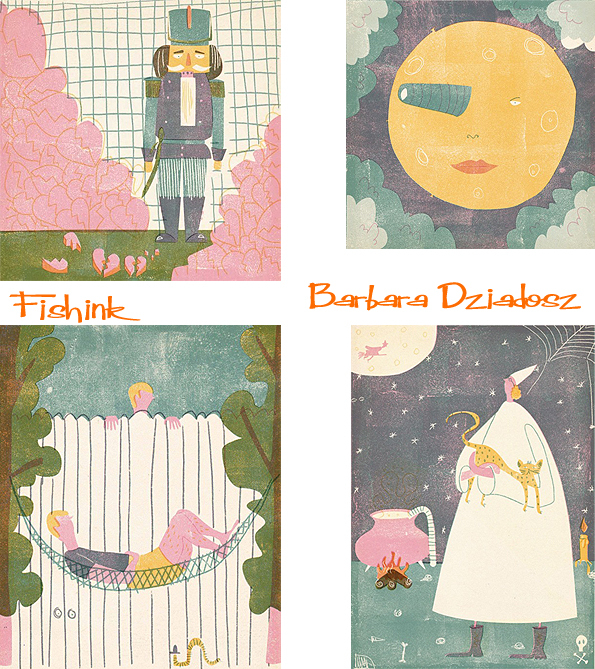 Over the years she has specialized in printmaking and character design. I contacted Barbara to find out a little more. If I’m not mistaken, I can see wonderful influences from the likes of Tin Tin, the film Hugo, Jacques Tati and that era of animation and art in your work. Have these or any other films indeed been inspirational to you ? I must admit, that I’m not that much influenced by films as I am by it’s posters. It all started a while back, when I was at school exchange in Poland and attended a poster workshop. I learned a lot about the beautiful polish movie posters and fell absolutely in love with the works of Jan Lenica, Ryszard Kaja and Jan Mlodozeniec for example. 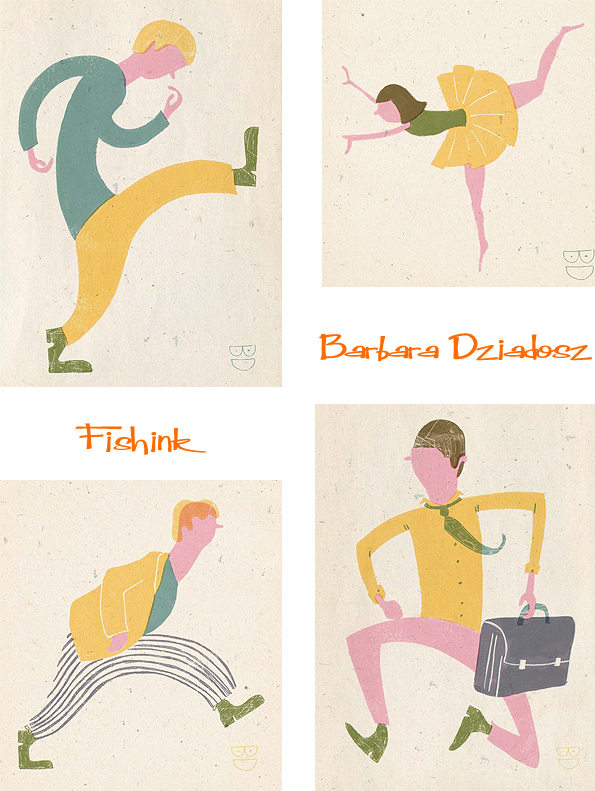 The posters have such strong concepts and I love the bold and colourful character of them. They were made as alternatives for the banned U.S. publicity material during the communist era and are truly masterpieces to me. 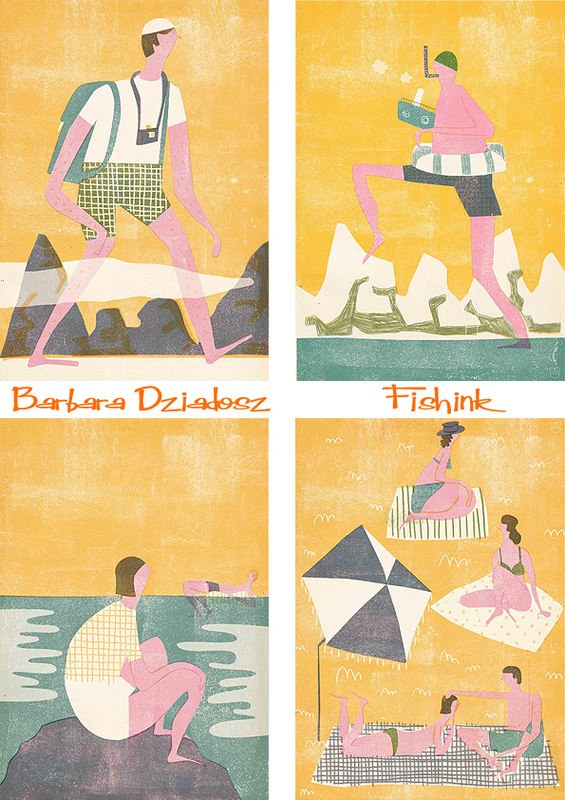 As I said before I’m very influenced by vintage illustration from all over the world. I admire russian avant garde llustrators like Boris Ermelenko, the bold works of Fernand Nathan, Olle Eksell, Leonard Weisgard, Alice and Martin Provensen; Miroslav Sasek, Art Seiden, Arnold Edwin Bare and many, many more. I also love old advertisements like the one from bally or old food illustrations. There is jelly eveywhere and woman serve big meals to their husbands in their pink kitchens. I also love old Czechoslovakian, Polish and Russian matchbox labels and vintage travel posters, mainly from England. I could not limit my self to one artist or one direction. Each one of them has something that fascinates me. 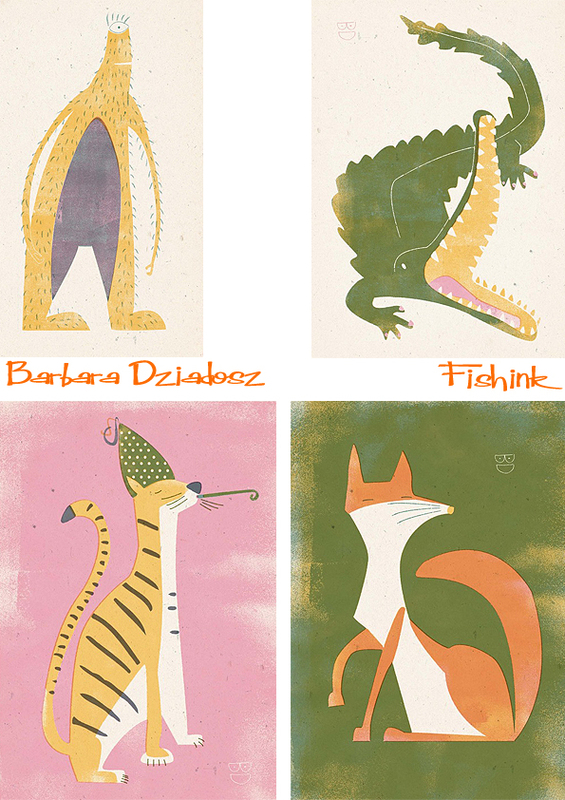 What I mainly love about those kind of illustrations is the limited colour palette, the bold shapes and the beautiful printing techniques they are made with. I started screen printing some years ago as a workshop at my school. It was hard to get in this workshop, as there is a very limited number of participants. When I finally got in, I printed as if there was no tomorrow. I printed a series about love in Morocco, which gave me the opportunity to learn everything about screen printing and its possibilties. As I began, I printed with even layers, as I didn’t know better. After this project, I decided to limit myself to just three colours and to make them semi transparent, to achieve more varieties. Nowadays I mainly work digitally, as screen printing takes too long. I’m finishing up my studies and won’t have access to the screen printing studio anymore, so I decided to learn to do my illos digitally. Before that, I did all of my illustrations with classic printing techniques such as lino and wood cut, etching and lithography. I always start with some sketches and write down whatever comes to my mind by thinking about this project. When I have done that I search for some reference and so some rough sketches. When I’m satisfied with them, I take a picture of my scans and proceed digitally. I rearrange the sketches to one illustration and print it out, to add some hand drawn element. I colour it digitally, add the hand drawn element and voila ! 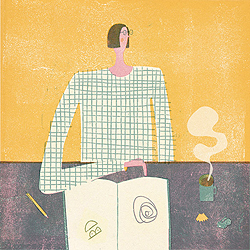 How much time is spent using sketchbooks and doodling for you, do you think this is an important part of your creating ? I always do sketches when I have some free time. This is very useful for me, as I can reference to them, when having another project. I like to keep myself busy all the time and to try out new things, just to improve my illustrations each time. 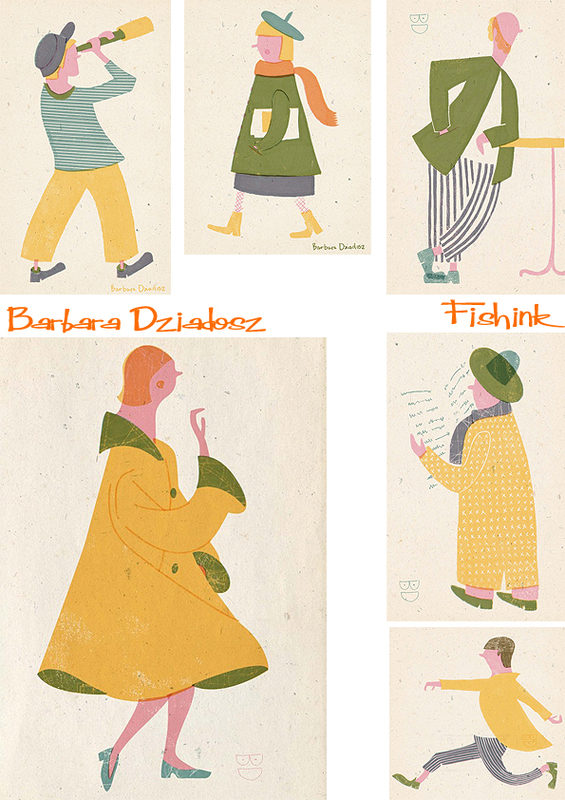 You have a lovely collection of similarly coloured illustrations. Did you use the same colours because you would then screen print them, to give your work some sense of collectiveness or for another reason ? As I sad before, I started my first screen prints with seven layers, which is a lot for a beginner. After that I just used three semi transparent colours to achieve a similar look. When I started working more and more with the computer I just kept this habit. It forces me to stay clean and simple and not to overdo my illustrations. I wonder where your love of spy glasses, binoculars and telescopes have derived from.. is it the inner explorer in you lol ? He he, this is a good question. I haven’t thought about that before. Maybe it’s just because I wear glasses and have some issues with my eyes. Maybe it’s because I was working on some Darwin related illustrations and I always imagine how he was wandering in the jungle with his binoculars. Any plans for the future in terms of your art ? I’m planning a cook book right now. 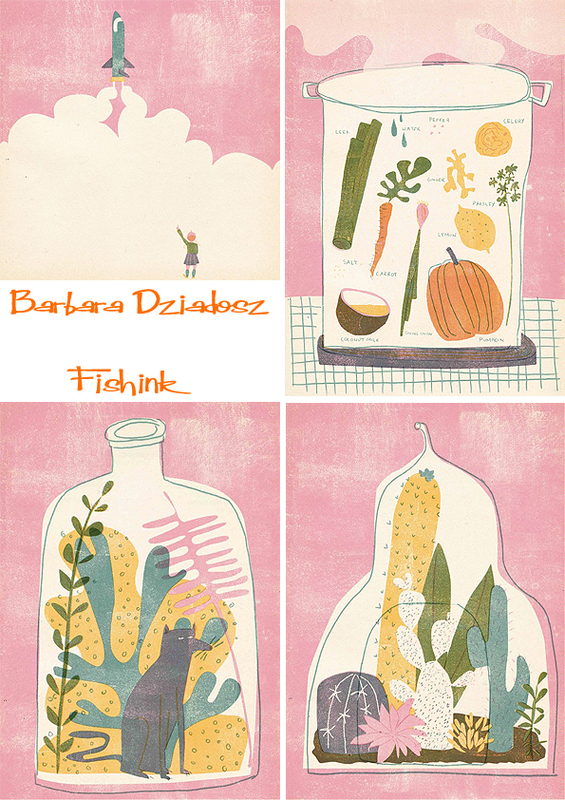 This is fun for me, because I can combine two great things, illustration and food. Maybe this will be my long overdue final project in Uni. I recently refreshed my book-binding skills, so that I can do the whole book from the beginning to the end all by myself. Quite an achievement I’d say and I’ll very much look forward to seeing how Barbara’s work develops. 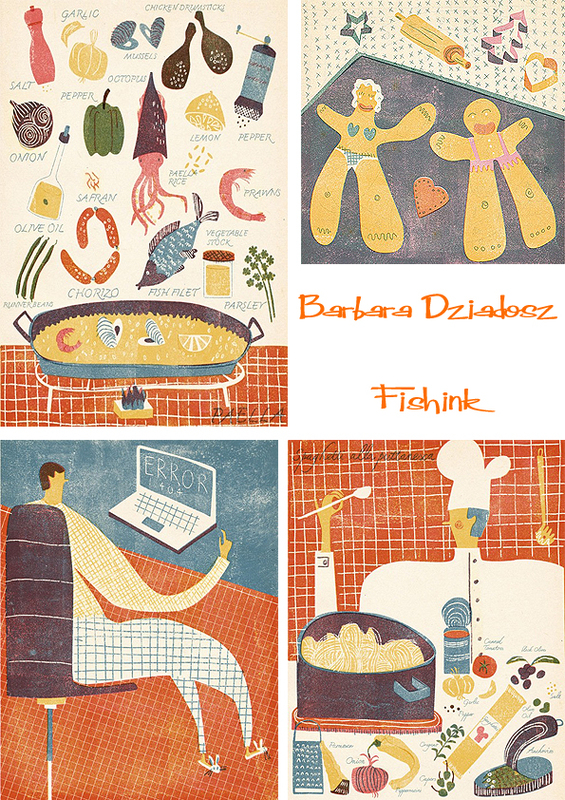 A beautiful style and collection of Illustrations to date, wouldn’t you agree and please Barbara, don’t loose that quirky edge either : ) Many thanks for allowing the Fishink readers to discover a little more about your work. You can also purchase a print that’s guaranteed to bring out a smile here and more illustrations here. Thank you Craig: you are always so inspiring!!!! I really like that sheep skin-ish thing on her chair.